At North Coast Windscreens we use only the highest quality window film backed by a lifetime warranty. We are trusted by many of the local auto dealerships and body shops. Autoglass tinting is the process of using laminates or films to coat onto the glass interior of the front, side and rear windows of the car. It is often done to reduce heat, glare, and UV that gets inside the car. Polyester is the mainly used material for tinting due to its durability and clarity. Window tinting is one of the basics of owning a car. With your windows tinted, the temperature inside the car is kept cool even when under direct sunlight. It also protects you from UV and other harmful elements. Moreover, tinted windows provide privacy. There are considerations when choosing the car tint to use on your vehicle. The best window tint does not necessarily mean it is the right tint unless it complies with the law. Unfortunately, privacy is not an exemption to car tint laws if in case this is your reason for getting a full tint service from an auto servicing company. Certain guidelines on tint levels set out by the Department of Transport. Failure to comply may cause charges and fines. We can assist you in being complaint when we tint your autoglass. 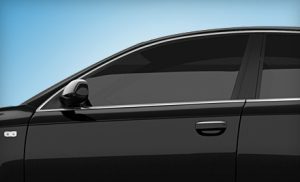 When you have fully understood the laws pertaining to vehicle tinting in Australia, it becomes easier to decide on the best window tint to use. North Coast Windscreens chooses to use SunTek products. SunTek is committed to providing the Best Quality Automotive Films. SunTek Automotive Films have outstanding performance features. Up-to-date colours and shades that match the newest factory tints. Superior heat shrink ability and adhesion to dot matrix.. Superior optical clarity..
Made exclusively of sputtered metals, this high-tech micro thin shield provides superior protection and performance. In short, it’s the best “all metal” film in its class. InfinityOP™ has the best solar heat rejection of any window film in its class. InfinityOP™’s neutral colour enhances the look of any vehicle. InfinityOP™ is optically clear and reduces the eyestrain associated with day and night-time glare. Lifetime warranty protects against peeling, cracking, adhesive failure, demetalization – and, yes, that even includes fading. Exclusive charcoal, blue and bronze dyed/metal construction provides both good looks and superior heat rejection. You’ll stay cooler while reducing the summer’s strain on the vehicles air conditioner. Up-to-date colours and shades match the latest factory tint adding a stylish, sophisticated look to your car. Provides excellent optical clarity while reducing day and night-time glare. Best heat shrinking film on the market.